On a summer day after the end of World War Two, dark forces took the life of a warrior who had fought valiantly for his beloved homeland and the human and democratic rights of his people. A military man to his core, he had also been a humane commander and a visionary, a true hero whose moral standards and ethical principles exemplified virtues known to humanity since the birth of Jesus Christ. He was General Dragoljub-Draza Mihailovich – a Serb, born in Serbia, the homeland for whom he would give everything, including his life. 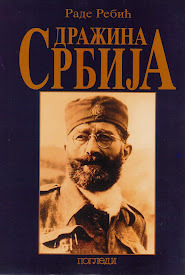 Since his time, the official history of Serbia has not been written as history should be written. 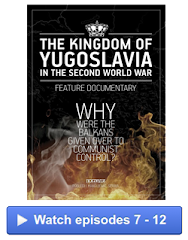 Instead, it has been written in collusion with the political manipulations that subverted what Yugoslavia had striven to be after she was formed upon completion of the First World War. This modern historical record has presented events in such a way as to satisfy and justify the political and social ambitions of the dark forces that killed Mihailovich. Yugoslavia as a country is no more. She has been replaced by "separate countries", some of them manufactured "nations" whose "independence" was and remains a contrived consequence of global ambitions. Serbia, the largest of the separate countries, is valid as a “country”. Others are merely pseudo-countries, established as a result of manipulations that ultimately served the dark forces perfectly. The once great country of Serbia has endured decades of falsehoods and political and moral degradations beginning at the end of World War Two, which resulted in her coming out of the Yugoslav syndrome a severely compromised country - a shell of what she once was, and had been, for many centuries. There was hope, however. In October of 2000, she began taking steps to reestablish the democratic ideals that once made her one of the most respected countries of Europe, the very democratic ideals that had been personified by her martyred hero, General Mihailovich. “It is an old rule that the end of an historical process and the resulting consequences create the conditions that make an objective study of past events necessary... Maybe the history of the Ravna Gora Movement is the most characteristic such case. 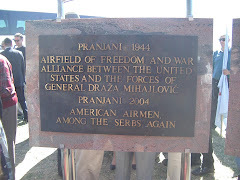 In past writings about it, many fallacies were picturesquely propagated in post-war Serbian historiography which was more a result of political and ideological motivation than of serious scientific intent. Such historiography has clearly shown the negative impact that uncritical interpretation of the past has on the progress of a society. 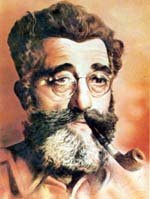 If we agree with the idea that historiography, the picture of the society in which it originates, is either an interpreter of its true past or is, as the case is here, a desirable and false picture ideologically manufactured, then we can say that the public "official history" of the Ravna Gora Movement, as interpreted since the end of the Second World War, has symbolized false, unscientific historiography. 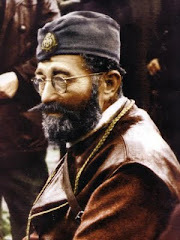 Generations of Serbian historians, those who carried the mask of 'historian' on their faces and the ideology of Marxism-Leninism on their minds, sought to win a final victory over the Ravna Gora Movement and especially over General Dragoljub Mihailovich in agreement with the proclaimed dogma of 'Heroes and Enemies' and the established worthless formula of 'Brotherhood and Unity'. Distorted interpretations, numerous falsifications, suppression of the basic facts, and political and ideological manipulations were the main elements of such historiography. 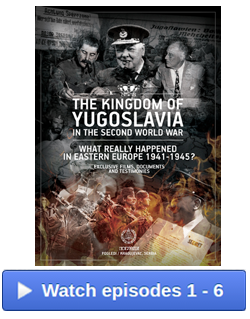 "One of the basic motives for such behavior should be sought in the fact that the war did not stop existing as a realistic influence on science, and more importantly, on all of the political relationships in Yugoslav society. Established was a specific ‘rear-connection’ – that present problems could be solved by the shaping and “resolving” of the past. Present and past interchanged places. 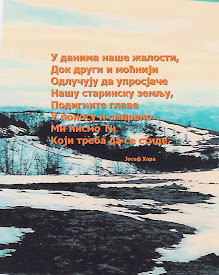 Whenever the country was in a crisis, most of all in the domain of international relationships, help was searched for in the ‘epic poetry of the people’s liberation struggle' in which the Yugoslav people forged 'eternal togetherness'. And just because of that it was necessary, with the application of various non-scientific methods, to constantly be victorious over the Chetniks, and once and forever wipe out the memory of them and all traces of their activities. The most vicious attacks were on General Mihailovich. He was the personification of all the attacks on the Serbian royalists, on the national idea of the Serbian people, on the manifestation of any nationalist work. That was the only area where unified agreement of national historiography was achieved. 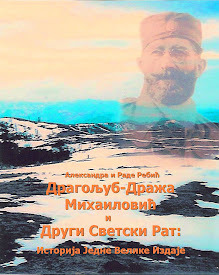 To wipe out all positive traces of his legacy from the historical record of Serbia and the Serbian people, Mihailovich’s enemies published an enormous number of books. For over half a century they were relentless in that effort. They were so successful that their lies and deceits became institutionalized in virtually every aspect of Serbia’s modern national identity. The result of their "success" is that noble and great Serbia became a pariah among European societies, and has suffered the grievous and deep wound of losing her holy Christian Kosovo province to the Albanian Moslems. One of the most critical areas in which the dark forces that killed Mihailovich have succeeded has been in converting Serbia’s traditional allies into virtual enemies who then, ironically and tragically, served the ultimate ends of those dark forces by negating Serbia as a viable democracy in Europe. The dark forces would ultimately be that force which would sabotage her, with the help of the democratic Allies whom she had served so faithfully in wartime. 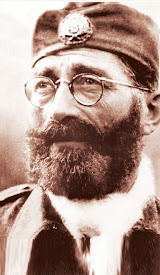 In the past, Mihailovich’s many faithful followers, both in the homeland and in the diaspora, were in no tangible position to counteract the destruction of their beloved country or to show the world that there was another Serbia, a true Serbia. 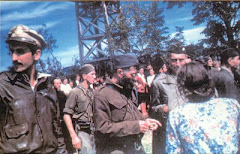 The enemy forces were too powerful and Serbia’s people were living under an imposed regime that did not permit the exercise of fundamental human and political rights that would have allowed the truth to surface and be known. Now that it is once again become possible to practice democratic principles in Serbia and to bring Serbia back to a position of being one of the greatest and most respected nations in Europe as she once was, it is absolutely necessary to address the institutionalized historical record. 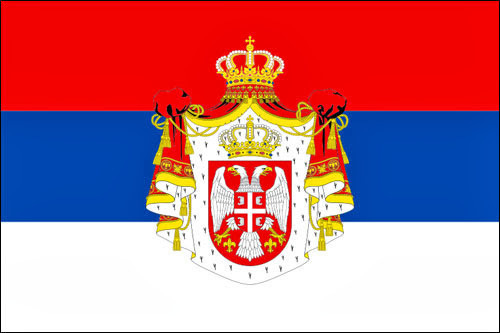 The history of the Serbian people and their nation over the course of the last one hundred years needs be rewritten - not "revised" - but literally rewritten to reflect the true heart and soul of Serbia through a historical record that is based on facts and realities, not manufactured lies and manipulations. This history must be rewritten based on events as they actually happened and not on the propaganda that has so deeply corrupted the study of those events. The dark forces were masters of propagating phony, quasi-history which served their various dogmas and political interests. "Revisionism" is not the issue here nor should it be. A true and valid historical record is what is being called for, something that each country, each nation, each people is entitled to, if we are to document human existence at all. It will not be a simple task, but it can be done. To do so, it is necessary to closely examine the past, isolate those elements in the historical record that are a perversion of history and replace them with the truth. It has been said that ‘Truth’ does not exist in history, only perception of the ‘Truth’ depending on which side you’re on. Even though I know that 'Truth' is often relative, I believe there is, indeed, such a thing as 'Truth' in history, and I know for sure that there is such a thing as ‘Fact’ just as there is such a thing as ‘Falsehood.’ The thing to strive for is the Truth. 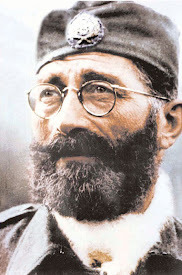 One road to take is to examine and define who General Draza Mihailovich really was, what he envisioned, what he achieved, and, most importantly, what Serbia lost by his premature death and subsequent treatment by the historical record. The alternative for Serbs is to accept their ‘false history’, live as a condemned people, ignore the legacy of 800 years of magnificent Serbian statehood, and grow weaker and weaker as the years go by. I can't accept that scenario. The Serbs are better than that. Serbia deserves better than that! What would have happened to Serbia after World War Two had General Mihailovich prevailed and survived? We can only speculate. The one thing that I do know for sure, however, is that had he survived and had his political, ethical, and moral principles been allowed to guide the evolution of post-war Serbia, she would have retained her nobility and her potential as one of the great democracies in the world. Given how beloved General Mihailovich remains today, among patriots both at home and in the diaspora, and how beloved the legacy and traditions of the true Serbia remain in the hearts of so many Serbs and others throughout the world, we can bring her back to her greatness. We can, but only if we care enough, love SERBIA enough, to do so.